Today’s officially the first day of October. I’m not one to naturally embrace the spooky season when August rolls around, but now that my calendar page has flipped- let all things All Hallow’s Eve commence! 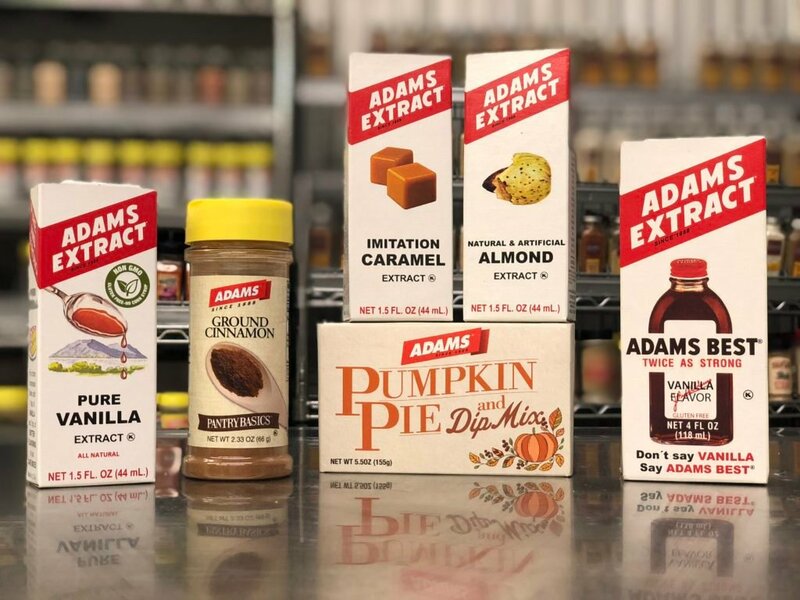 That includes us bringing y’all some seriously awesome treats this year. The sons’ have encourage me to pull out all the stops. They say it’s for you guys, my faithful readers, but they can’t fool their Mama. I know it’s really for them, the little adorable devils! Luckily, I was happy to oblige, and #HalloweenTreatsWeek has given me the perfect excuse. I’m especially happy to announce one of our generous sponsors this year is Dixie Crystal’s sugar. 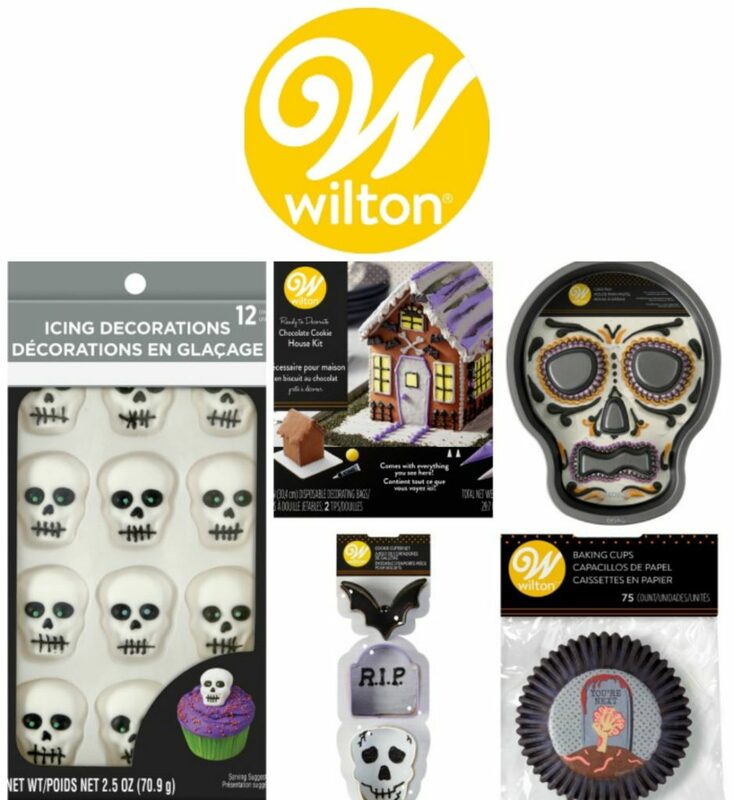 We partnered with them and came up with the ultimate Halloween treat, one fit for all ages. 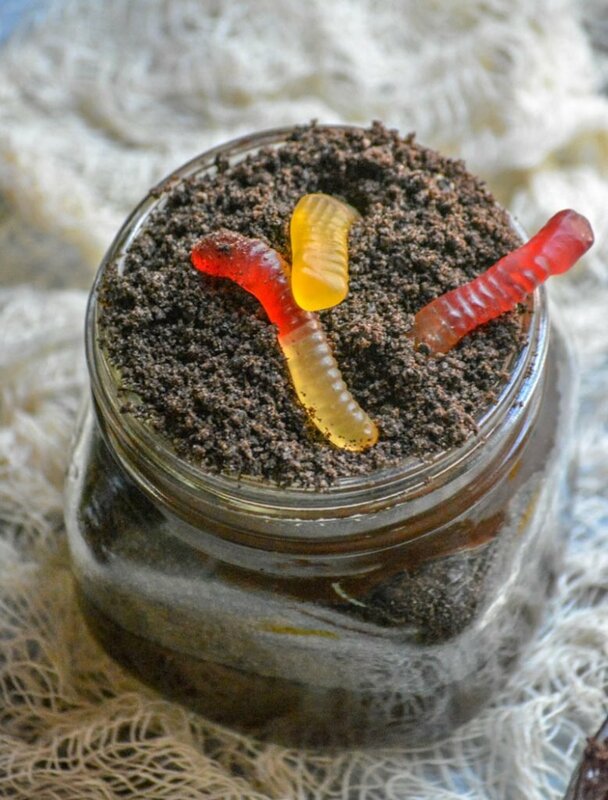 These yummy Creepy Crawly Dirt Cup Pudding Parfaits. It’s a recipe we first came across in the most recent addition of their kids cookbook this past Summer. One we obviously doctored a bit, but never the less- they introduced us to a real winner in the kid-friendly, festive dessert department. Dixie Crystal’s My First Cookbook has been published since 1959. And it shows, they know what they’re doing. The book is simple, but very well though out. I loved that it’s hard bound, but binder style- making it heavy duty, and easy for my young cook to quickly turn pages without worrying about ripping or tearing. 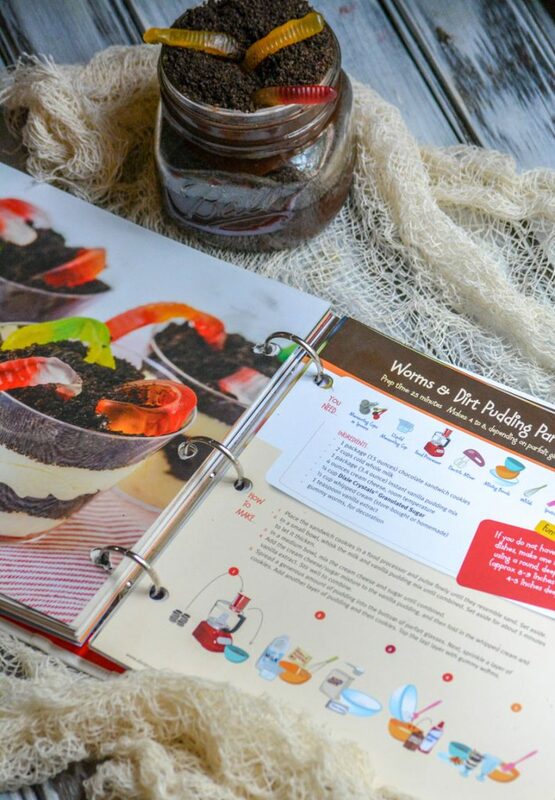 The photographs are large, and stunning, easily appealing to both kids and adults and making it easy to see what a yummy finished product awaits you. While my son was able to read all of the ingredients and instructions, the book is well though out for all ages and includes many visual aids. In addition to a list of measured ingredients, there’s a visual list of ingredients and tolls/appliances needed. There’s also a visual, linear representation or each and every step required for preparation. Something so simple, but for my 8 year old- it transformed him from tentative to confident with each recipe he’s tried. Something so simple, but so beautiful to see, because it mean he was excited to keep going and trying to create more delicious things. A love of cooking took root from this beautifully executed children’s cook book. It’s a tradition that several generations now have learned to cook with, my own sons’ included. Do you want to introduce your own kids or grandkids to cooking? 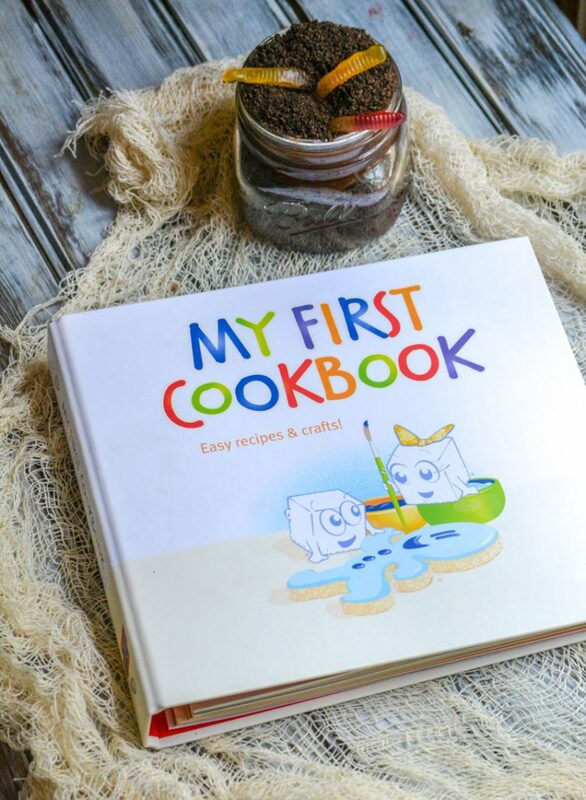 This book is an easy bridge, making them eager to roll those sleeves up and get their hands dirty in the kitchen with Mom, Grandma, etc. You will still probably have to remind them to wash those little hands first though. Dixie Crystal’s has generously provided free access to many of their earlier cook book publications, including the original copy of My First Cookbook from 1959. You can download your own copy HERE. He was so proud of his finished product. Other things he made from the My First Cookbook and loved? Monster Cookie Dough Balls, Lucky Charms Marshmallow Treats, Strawberry Milkshake Pie, and Watermelon Popsicles. He had a fun Summer in the kitchen with Mama, and we ate some very delicious snacks & desserts! 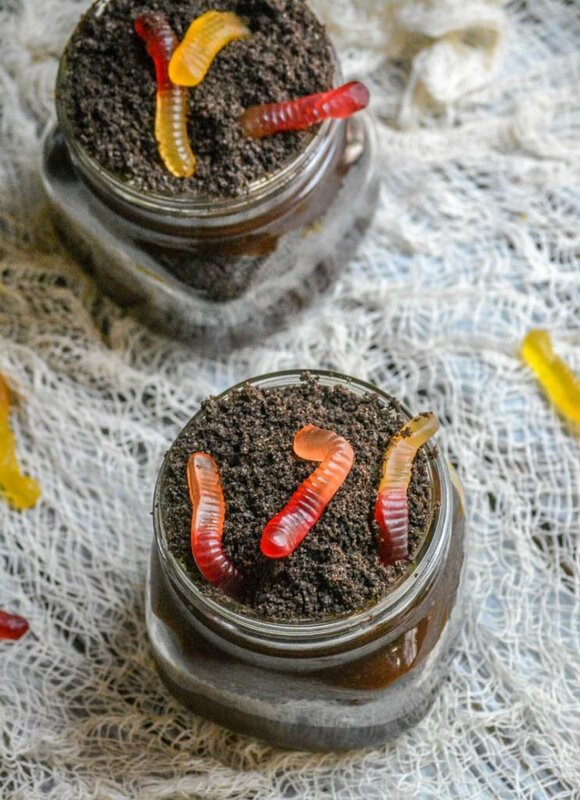 Which brings us back to today’s sweet, totally kid friendly treat- these indulgent Creepy Crawly Dirt Cup Pudding Parfaits. A dessert so easy, a kid can do it- literally my youngest kid did do it! And he crushed it!! 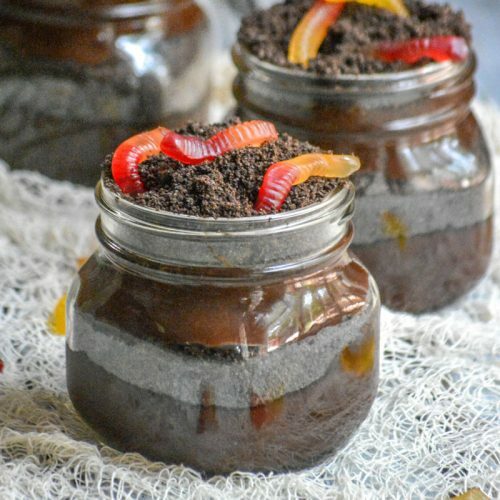 Alternating layers of crushed chocolate Oreos and sweet chocolate pudding are added to pretty glass jars (for presentation purposes, of course), and topped with a couple of gummy worms. It’s a delicious dessert, that look s just spooky enough to give the kids a moment of pause before digging in. 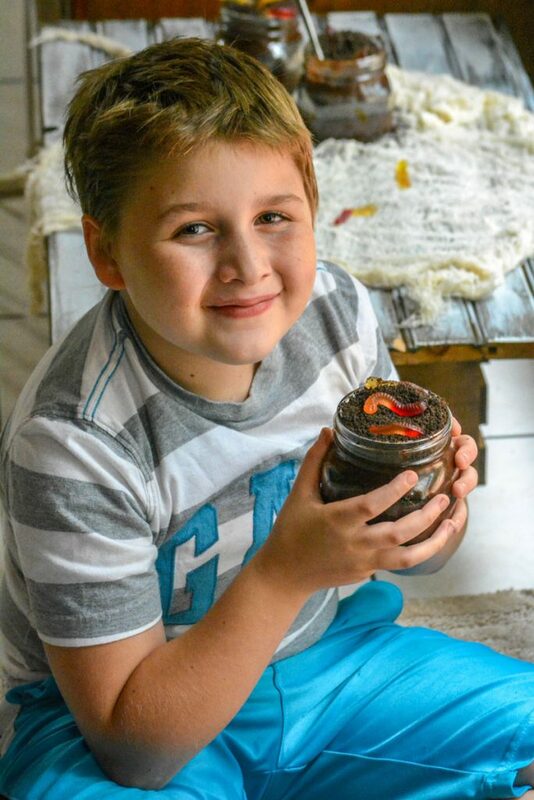 Seriously, there’s nothing cuter than watching one of the younger kids contemplating life and really not sure they believe you when you tell them this Creepy Crawly Dirt Cup Pudding Parfaits isn’t gross at all, and 100 % safe to eat! Traditions are so important, and they go hand in hand with holidays. 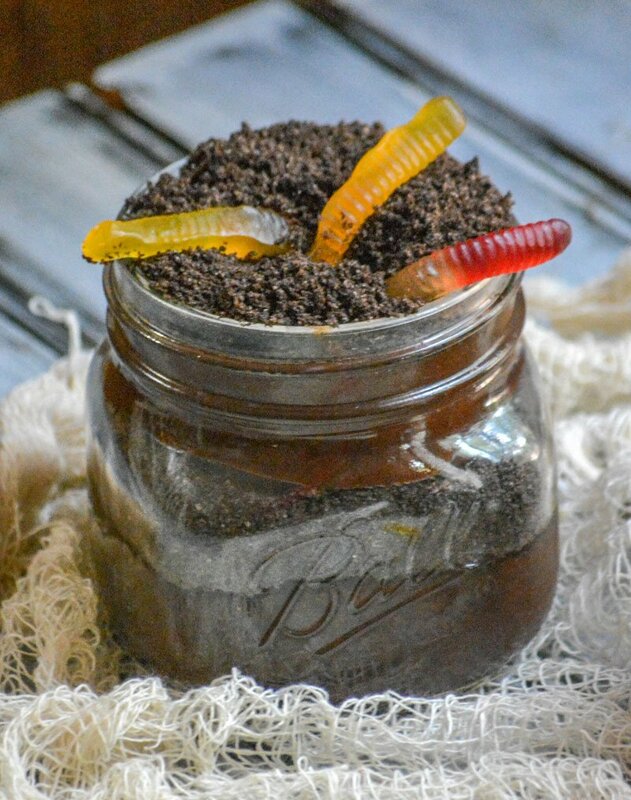 Start your own this year, with our Creepy Crawly Dirt Cup Pudding Parfaits. You’ll all look back on the memories and smile for years to come! 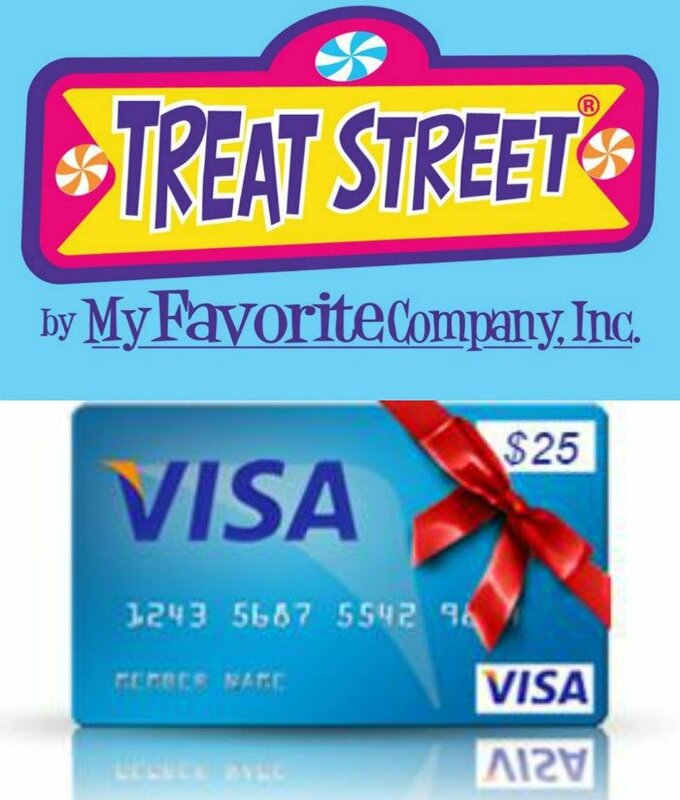 Stick around after the recipe to see the great prizes our sponsors are giving away for #HalloweenTreatsWeek & to see what everyone else has brought to the holiday table! An easy dessert, these parfaits feature alternating layers of chocolate pudding and crushed Oreo cookies with gummy worms on top. Add the cookies to a bowl of a food processor, and pulse until finely ground- so they resemble sand. Set aside. In a mixing bowl, whisk the milk, pudding mix, and cocoa powder together until evenly combined. Set aside for 3-5 minutes, or until thickened. In another bowl, use a hand mixer to whip the cream cheese and sugar together until fluffy & combined. Fold in the whipped cream. Spread a generous amount of the pudding mix into the bottom of a jar. Top with an even layer of the cookie crumbles. Repeat. Top with a couple of gummy worms. Serve immediately. This is so fun! What an adorable dessert. 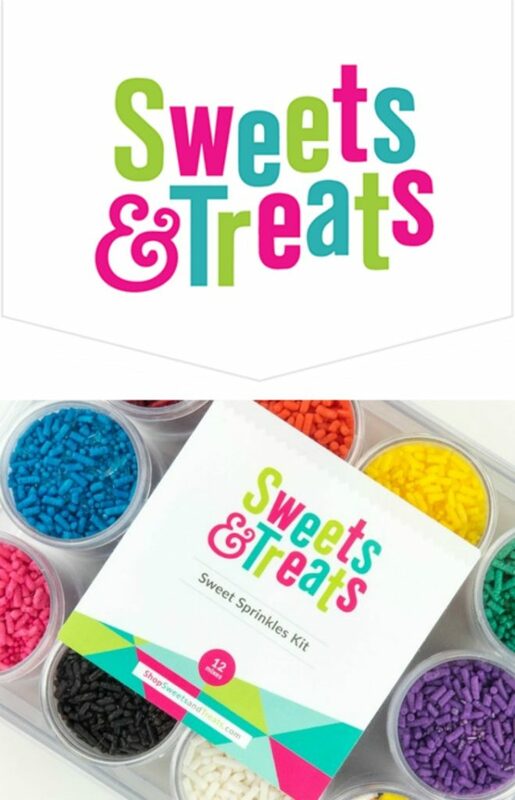 Such a great activity to do with kids. 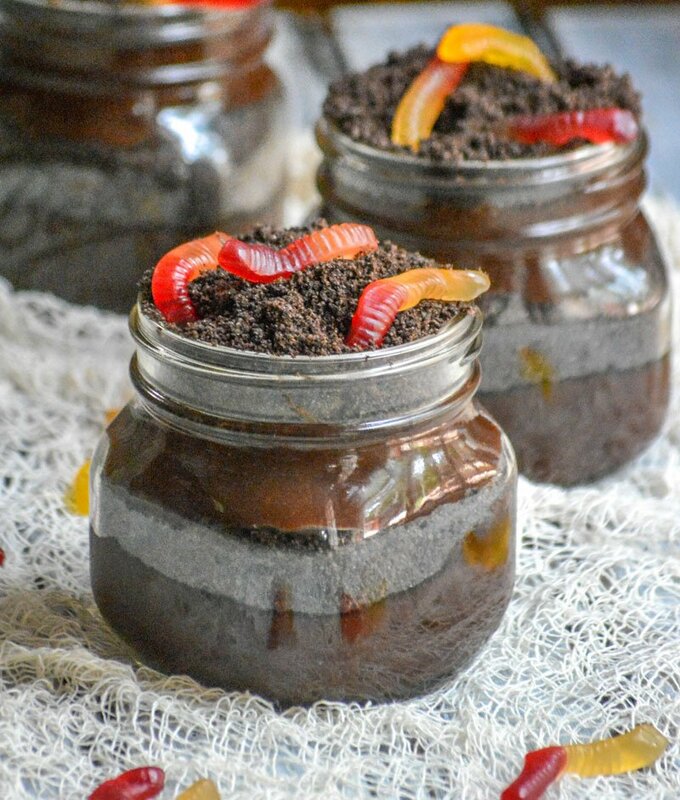 These dirt cup puddings are so much fun for kids… but I’ll happily eat one too! 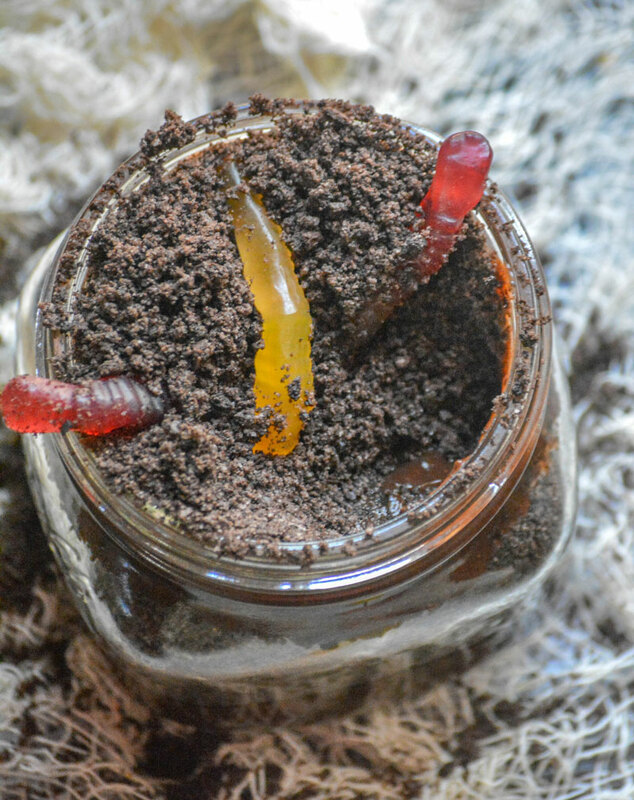 The worms are the perfect finishing touch! I love that this book helps your son feel confident in the kitchen! So important! And let him know I think his wormy pudding cups are super creepy and awesome! You simply can’t go wrong with these! Great kids’ project! This is the second children’s cookbook shared on Fiesta Friday this week. So much fun for the kids and adults alike. As a retired librarian any way you can get a child to read and enjoy it gets my thumbs up! Did you know there was an actual gummy worm day? I couldn’t find any to cook with on that day, but I’ll be trying this next year. Oh my word, how CUTE! I love these! I also have sons and this would be right up their alley, and mine too because it’s chocolate. Gummy worms for the win! Your cookbook looks very well formatted for kids. I loved the big pictures on one side and then the easy to read and follow instructions across from it.